President Donald Trump on Tuesday announced he will head to Wisconsin for the rally he’ll hold instead of attending the annual White House Correspondents’ Dinner. His reelection campaign rolled out details about the Green Bay, Wis., event that will take place next Saturday while much of Washington’s press corps heads to the annual journalism celebration Trump has scorned since he became president. Though he attended the star-studded event several times before running for office, including in 2011, when he was skewered for promoting the conspiracy theory that former President Barack Obama wasn’t born in the U.S., he has broken with years of tradition in not attending a single dinner since becoming president. He has instead hosted competing events with his supporters. Last year, Trump sent press secretary Sarah Huckabee Sanders in his place, where she sat stone-faced as the featured entertainment that night, comedian Michelle Wolf, cracked jokes about Sanders’ appearance that many said were below the belt. The White House Correspondents’ Association bristled at Wolf’s set, and late last year announced that presidential historian and author Ron Chernow would be this year’s speaker, breaking from the tradition of hosting a comedian who typically targets the president and others in Washington. The president’s decision to hold his competing rally in Wisconsin is a nod to his reelection efforts ahead of next year’s election. Typically a part of the Midwestern “blue wall,” Trump turned the state red for the first time in three decades in 2016. Democrats have set their sights on taking back the state in 2020 after a promising performance in the Midwest during last year’s midterms. 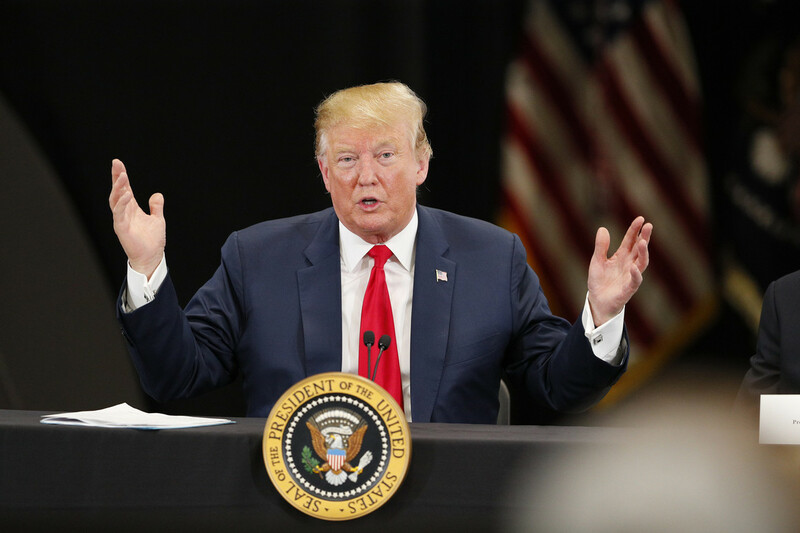 In a news release promoting the rally, Trump’s campaign said it would be his 18th event in the state and his third in Green Bay since he launched his presidential run in 2015, and touted the ways his administration’s policies have benefited the state. “Under President Trump’s leadership, paychecks are now growing twice as fast for those in the bottom half of the income spectrum. Unemployment has hit generational lows, and the U.S.-Mexico-Canada trade agreement will open Canadian dairy markets to farmers all across Wisconsin,” campaign COO Michael Glassner said.